Brad is a litigator and effective risk assessor whose practice focuses on general litigation, business litigation, products liability, premises liability, and insurance defense. For 25+ years, he has assessed and managed clients' risks and litigated cases involving such diverse matters as class actions, contracts, business disputes, environmental matters, wage and hour, insurance coverage, products liability, employment termination, personal injury, real estate, and loan agreements. A recognized leader in ski area defense and recreational product liability defense, Brad is past president of the Association of Ski Defense Attorneys. He was awarded the 2008 Industrial Strength Award by the Pacific Northwest Ski Areas Association, a prestigious honor presented to individuals who have made a significant contribution to the Pacific Northwest ski industry. 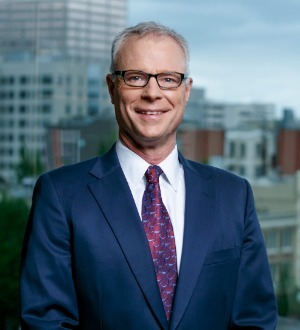 Brad has tried numerous cases in state, federal, and bankruptcy courts and has argued before the Oregon Court of Appeals on several occasions. In addition, he has participated in many administrative hearings before various governmental bodies. Brad also has extensive experience with all forms of alternative dispute resolution.